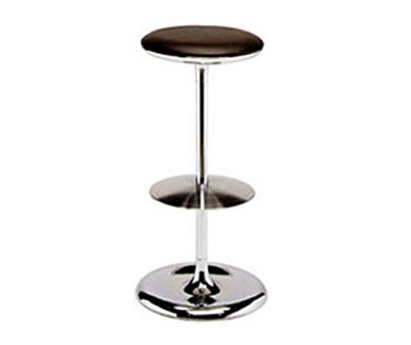 single stem steel stool with upholstered top. Circular disc floor plate. High stool with foot rest. CMHR foam seat upholstered in leather/Fabric.